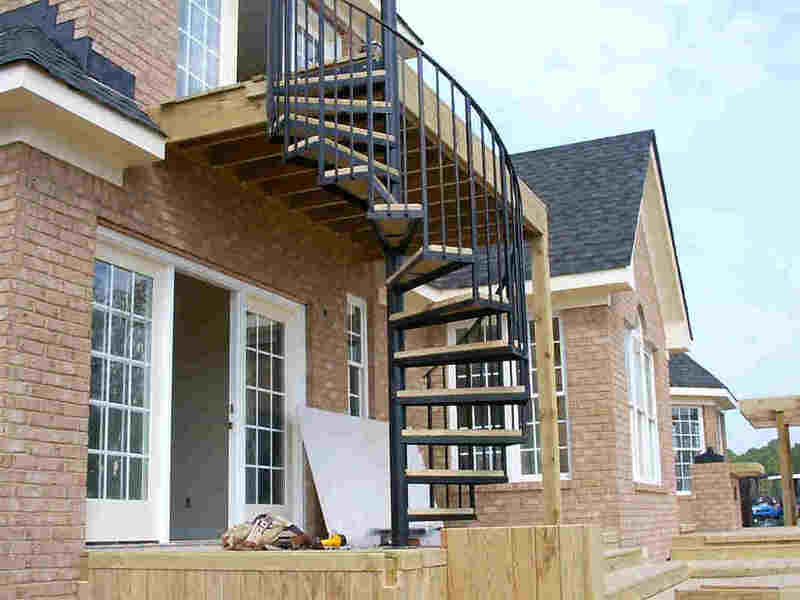 The above photo is of a spiral staircase designed, built and installed by Parkway Mfg. 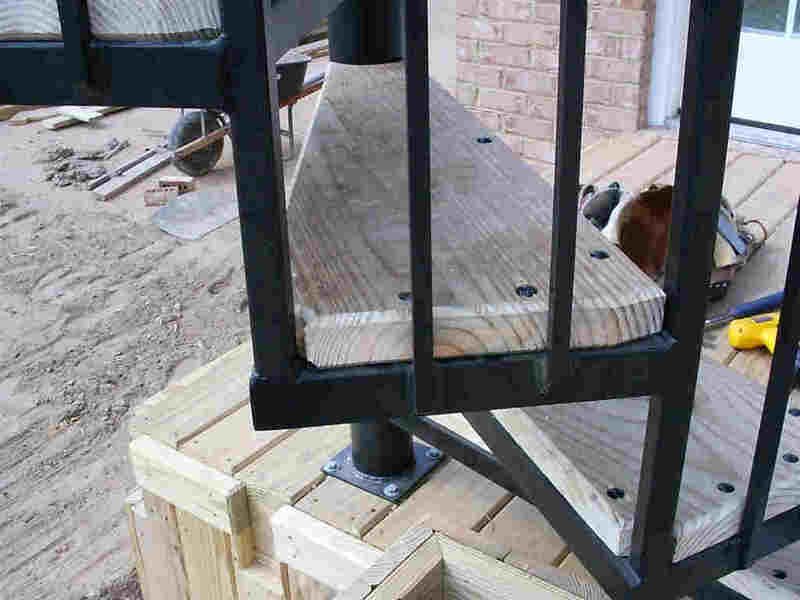 Co. As you can see in the photo the design had to allow for many odd angles and leave enough access room with danger of someone hitting their head while on the stairs. 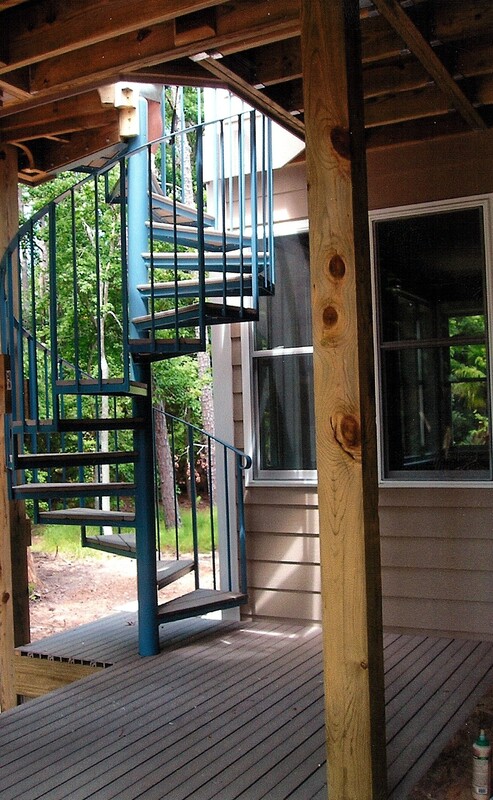 The series of photos below are of a Spiral Staircase made for an outdoor deck with 2nd floor access. 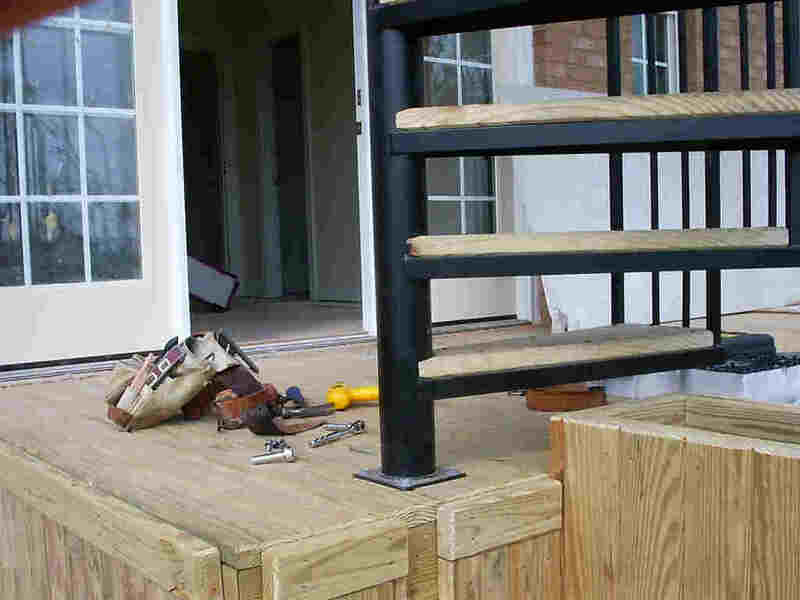 Although Parkway Mfg. 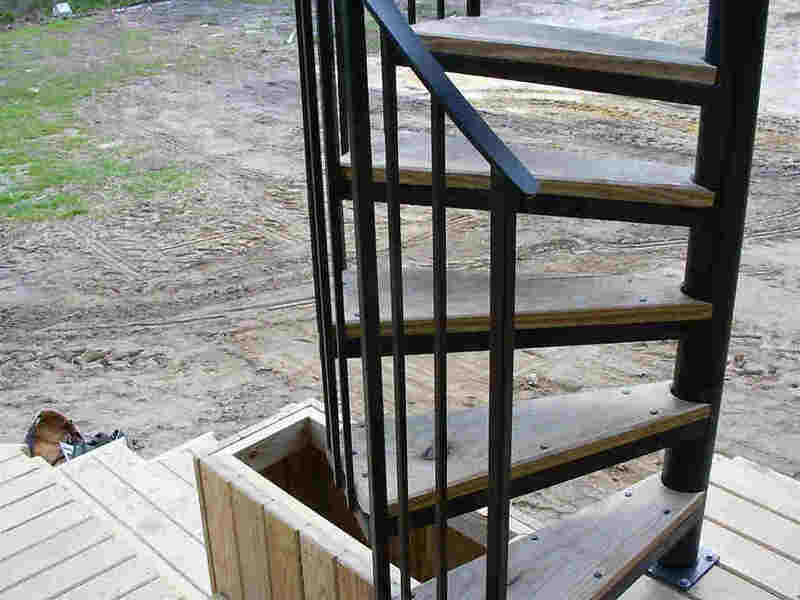 did not build this particular staircase we have since built one similar for a different private residence (above). 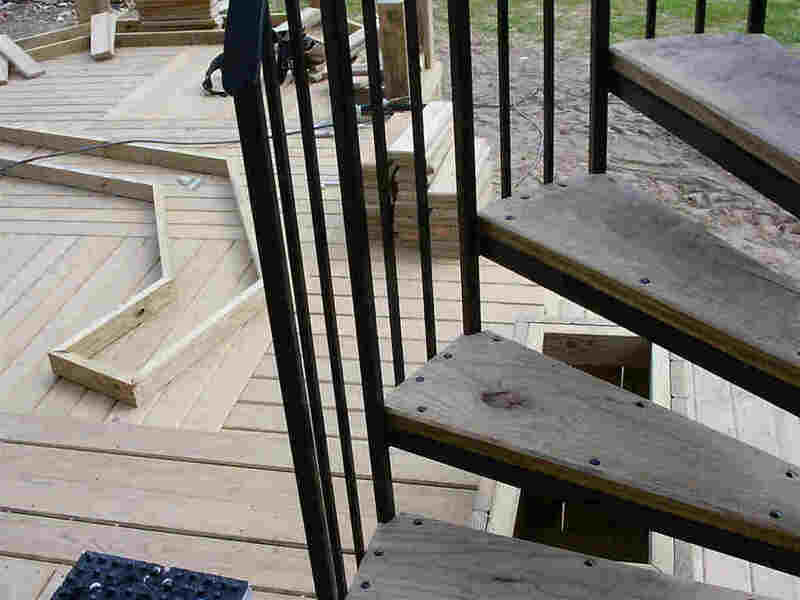 Each spiral stair is custom designed to fit within the existing space allowed. 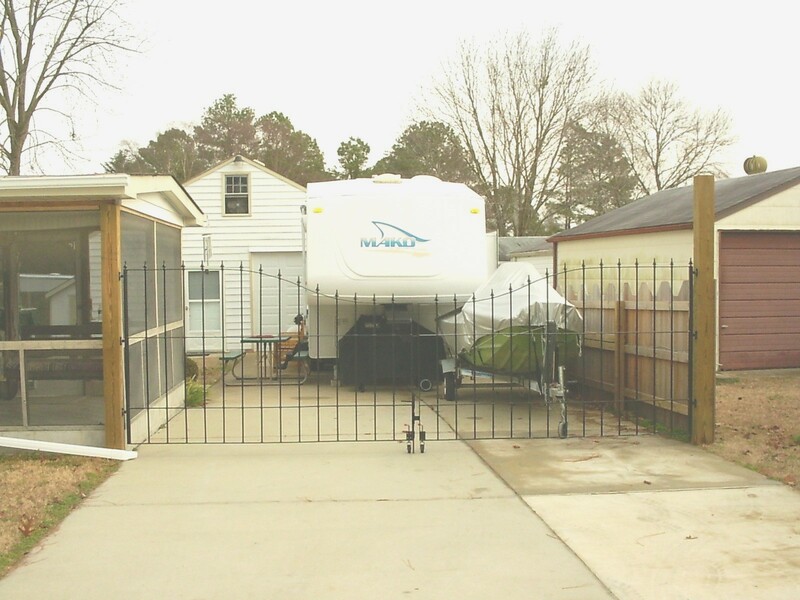 Above is a custom made double driveway gate made for a local contractor as his private residence.